Unlike many other general dentist practices where teeth extractions are referred to an oral surgeon, Dr. Calcaterra’s training allows him to routinely remove all types of teeth, including wisdom teeth, with or without IV sedation. We are nearly always able to accommodate same day tooth extraction emergencies. If you have pain and need a tooth extracted, you can be sure we can handle it! Tooth extracted by Dr. Calcaterra on a patient from West Haven, CT. Retained deciduous (also called “baby”) teeth that are preventing the eruption of permanent teeth. Badly decayed and/or broken down adult teeth where root canal treatment will not be successful. A toothache and you do not want to save the tooth. Teeth that have become loose over the years due to chronic periodontal disease. Wisdom teeth that are symptomatic or wisdom teeth that we feel will likely cause problems in the future. Before and after photograph of tooth extracted for Invisalign by Dr. Nicholas Calcaterra. The patient was from Woodbridge, CT. Prior to beginning the extraction, Dr. Calcaterra will complete a thorough review of your medical history, including any prescription medications. A digital x-ray and/or intraoral picture of the area will also be reviewed along with the reasons for the extraction. In some patients, especially those who are having all four wisdom teeth removed, IV moderate sedation will be used to ensure you have no memory of the procedure. Other patients may elect to have nitrous oxide. In patients choosing local anesthesia only, topical anesthesia will be applied, and then local anesthesia will be administered, guaranteeing you will feel no pain during the removal. Once you are completely numb, Dr. Calcaterra will use a variety of instruments to completely remove the tooth. You will feel no pain – only pressure. Gauze is placed afterwards at the site of tooth removal. Just like any other surgery, we will prescribe post-operative medications such as antibiotics and or analgesics if necessary. After the extraction, there will be a hole in the jawbone where the tooth used to be. In the next 1-3 weeks, the hole will fill in with gum and bone tissue. 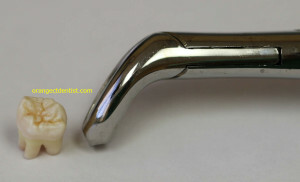 If appropriate, we will have already discussed tooth replacement options such as dental implants. Multiple extractions are when numerous teeth are removed in preparation for a patient to receive a partial or full denture. 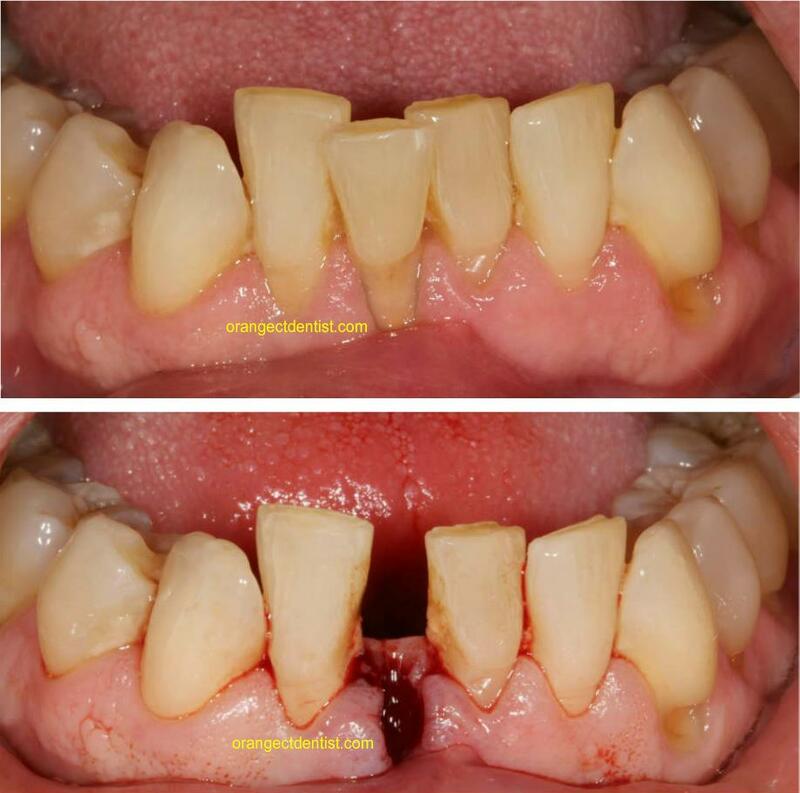 This is called full mouth extractions with immediate denture placement. This requires knowledge in both oral surgery as well as removable dentistry. Fortunately, Dr. Calcaterra is skilled in both. 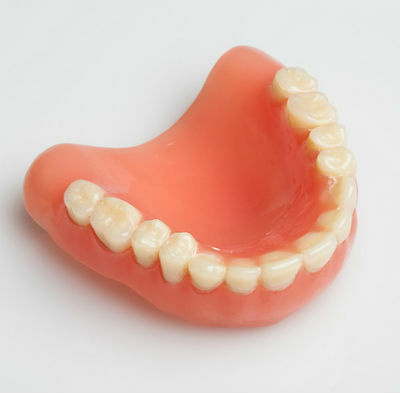 In many other offices, a patient is sent to an oral surgeon to extract the teeth, and then is sent back (while numb and bleeding) to the general dentist to insert the denture. Not here! Dr. Calcaterra is able to do both, and can specifically shape the jawbone during the extractions to ensure the denture fits perfectly. The costs associated with the removal of teeth is highly variable. It depends upon the complexity of the extraction, whether the tooth was impacted or not, if regular digital or panoramic x-rays are required, the type of dental insurance, and many other factors. We will be happy to explain our fees and the costs to you. We do take Husky (also known as CT State Insurance) for patients 20 years of age and younger. As mentioned, Dr. Calcaterra underwent additional advanced training at Saint Francis Hospital in Hartford, CT in oral surgery and anesthesia giving him the skills to remove nearly every type of tooth, including impacted wisdom teeth. If you are in pain and require tooth removal, call us for an appointment. We also see patients from other nearby towns including Milford, Ansonia, and Derby, CT.